So. The US economy is just fine. The post-recession 2010 Dodd-Frank legislation has cured all. Banks have lots of cash. Congress is your friend and that certain-to-pass Tax Cut and Jobs bill will finally allow you, your family and America to… MAGA. This rather unique news seemed worth of delving into further, so I declined his opening offer and left with my two onerous withdrawals. Being away from home, I decided to wait and stop by my home town’s main Wells Fargo branch office. For anyone following the factual and very dire condition of the world’s economy and its bank’s magnificent set of past, pending, future -and unpunished-financial crimes, my sojourn into the realm of Kafka would become a very cautionary tale. Oh, those evil banks. The shadowy corporatist denizens of New York, London, and Brussels, all guilty of a staggering set of every-expanding frauds couched in the beneficent language of greedy short-term materialistic gain. Financial “crimes of the decade,” like the Savings and Loan meltdown, the Enron Collapse, and the Great Recession are nowadays reported almost monthly. With metered US justice amounting only to a monetary fine for the offending criminal bank- usually a small fraction of the money it previously stole, hypothecated, leveraged or manipulated- and with criminal prosecution no longer a possibility, these criminals continue to shovel trillions- not billions- into off-shore, non-tax paying accounts of the already uber-rich. There is never enough. LIBOR, FOREX, COMEX, which used high-speed program securities trading combined with insider manipulation, were the first serious examples of recent bank frauds. Since the Great Recession magically became the Great Recovery, Wachovia and HSBC banks plead guilty to laundering money for Mexican drug cartels dictators, and terrorists. 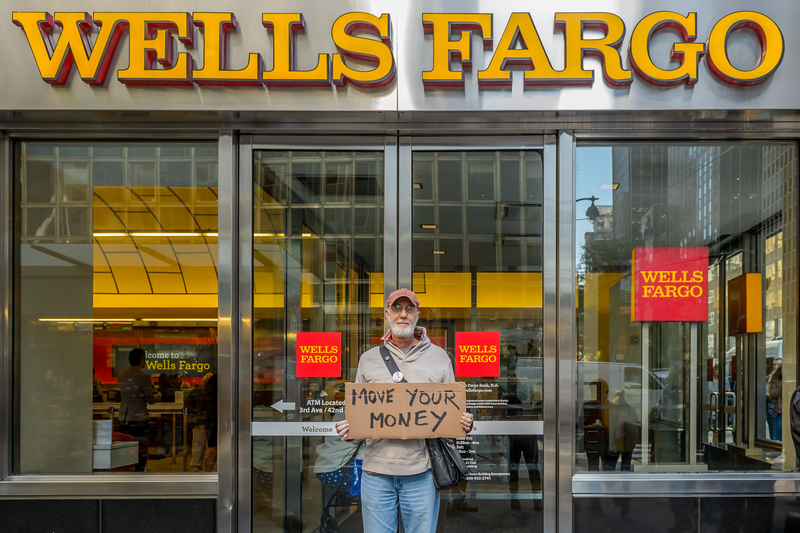 Wells Fargo and Bank of America were also guilty of defrauding 10’s of thousands of homeowners of the properties during the “robo-signing” scandal; that was a scandal…until Wells and BA paid the mortdita and all returned to business as usual. Example: In July 2017 it was revealed that more than 800,000 customers who had taken out car loans with Wells Fargo were charged for auto insurance they did not need. Barely a month later, Wells was forced to disclose that the number of bogus accounts that had been created was actually 3.5 million, a nearly 70 percent increase over the bank’s initial estimate. Why not? When the predictable result will be a small percentage fine, and keep the rest. Now that’s MAGA! If the individual retail- Mom and Pop- investor actually had a choice of where to put their cash money, then no one with better than a fifth-grade education would put a penny into the major stock markets. However, the goal of the many banking manipulations have had one goal: eliminate financial investment choices to one- stocks. One choice, Gold and silver, the previous historical champion alternative in preserving one’s wealth, was deliberately eliminated from short-term, private investment. The banks, issued and sold massive amounts of worthless certificate gold and derivative gold (not bullion), and the same in silver, at a current ratio of 272 paper instruments to one measly ounce of real physical gold. All this has been leveraged against real precious metals, and next used to influence the price of gold-down- by selling huge tranches of these ostensibly worthless gold contracts (1 contract=100 paper ounces) within seconds when the spot price of gold begins to rise. The banks have done this so often that gold has not risen to levels it would likely reach without this manipulation. This has driven massive liquidity that would have gone to precious metals towards stocks. 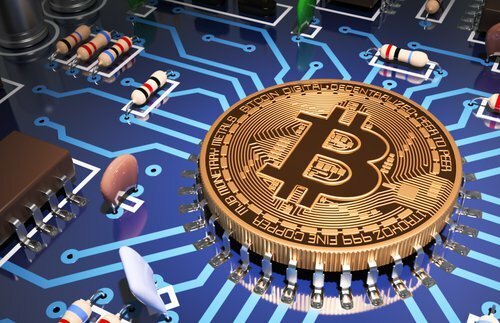 This is likely evidenced by the advent of the meteoric rise in the price of BitCoin, one that-like gold- escapes the bank’s control and a super-inflated stock market. Similarly, thanks to the economic trickery that has been three rounds of Quantitative Easing, the other two conventional options; the bond market and personal bank savings accounts have been manipulated to also produce a very low rate of return, driving these cash funds to stocks. It is this entire package of criminality- providing no other place for liquidity to go- that has performed as the plot to push a surging world stock market to obscene levels that have no basis in factually based accounting or economic methods… or history. Banks Are Ready for the Next Crash- You’re Not! The banks know the next crash is coming. Like 2007, they have set in motion the next great(est) recession. Predator banks know that most people, thanks to the aforementioned financial control, media omission and an inferior education system, are “stupid,” especially regarding the nuances of financial fraud. As the majority of Americans and Europeans live in the illusion that their financial institutions will protect their savings, they miss their bank’s greedy preparations for the next stock market crash slithering through the halls of their Parliament or Congress. This already completed legislation states in plain English, and the language of endemic corruption, that your bank intends to steal your money directly from your savings account. And…your government will let them do this to you. 30,000 pages make up the Dodd-Frank post-recession legislation, authored by the banks in the aftermath of the Great Recession. The Dodd-Frank legislation was touted as eliminating the massive bail-outs the US gave virtually every ill-defined too big to fail worldwide bank and US corporation in 2008-9. In reality, Dodd-Frank was as much a fraud against Americans as LIBOR or COMEX manipulation, etc., al. Title II of the media-acclaimed 2010 Dodd-Frank Wall Street Reform and Consumer Protection Act provides the Federal Deposit Insurance Corporation (FDIC) with new powers and methods to again guarantee- first and foremost- the massively leveraged derivatives trade once this massive leverage plummets as it did with AIG in 2007-09. However, that collapse was singular. The next will include all banking sectors. The will or financial safety of the public is, of course, no concern to criminal corporations, and so easily circumvented via congress and the president. So, the banksters have redefined their criminality using two newly defined methods, both rebranded to be far more palatable to the public. Currently,“Too Big to Fail,” (TBTF) has a very fraudulent and elitist connotation just like, “Bail-Out.” To millions across the world who have lost their homes, pension funds, retirement plans, and dreams, this decade-old moniker for financial oppression and fraud has now been conveniently re-branded. The bailed-out TBTF banks now have a far more magnificent definition: TBTFs are now, “Globally Active, Systemically Important, Financial Institutions” (G-SIFI). But, “Bail-Out”? No… No. Would you not prefer a “Bail-In”? Not if you know the details.“Bail-Outs,” may have also lost their flavour but in the new world of the G-SIFI, the next one is actually just a “Bail-In,” away. Yes, Bail-Ins, the new “systemically” correct term for publicly guaranteed bank fraud are already named as such in new national policies and laws, appearing in multiple countries. These finance laws, such as Dodd-Frank and its pending UK and European Union version, make upcoming Bail-Ins legal. These Bail-Ins allow failing G-SIFI banks to legally convert the funds of “unsecured creditors”(that’s you) into bank capital (that’s them). This includes include “secured” creditors, like state and local government funds. With this in mind, I entered the main branch of Wells Fargo. The two checks in hand. On the way in I was greeted warmly, one after the other, by three more fresh-faced and eager proteges, all smartly uniformed to match the Wells décor, and who proffered, “Good morning, Sir!,” again, and again… and again. Certainly, these little fish were not in possession of authority enough to cash my mammoth checks, so I asked for bigger game, the Branch Manager. The financial law firm Davis Polk estimates the final length of Dodd-Frank, the single longest bill ever passed by the US government, is over 30,000 pages. Before passage, the six largest banks in the US spent $29.4 million lobbying Congress in 2010 and flooded Capitol Hill with about 3,000 lobbyists prior to Obama predictably signing its final unread version. No US congressman or senator had read it. But, the bank’s congressional minions were told to vote for it. And dutifully they did. Instead, thanks to Dodd-Frank, derivatives suddenly have “super-priority” status in any bankruptcy. The Bank for International Settlements quoted global OTC derivatives at $632 trillion as of December 2012. Naked Capitalism states that $230 trillion in worthless derivatives are on the books of US banks alone. Applied to Dodd-Frank this means that all these bad bank bets on derivatives will be paid-off first… before you may have your savings cash. If there’s actually any cash left once you get to the teller’s counter. Normally in a capital liquidation or bankruptcy proceeding, secured creditors such as a banks personal depositors are paid off first because these are hard assets, not investments, and thus normally have a mandated priority. Under these new “Bail-In” Dodd-Frank mandates, your government has re-prioritized your bank’s exposure and your cash deposit. Derivatives and other similar banking high-risk ventures are now more highly protected than bank depositor’s savings. In the 2013 example of Cyprus, Germany and the ECB also made depositors inferior to other bank holdings leaving depositors with, after many months, a small fraction of their deposits. But how, then, to Bail-In the G-SIFIs without another taxpayer Bail-Out? No problem. Sounds good until you read the fine print, ie., whose risk are they actually protecting. 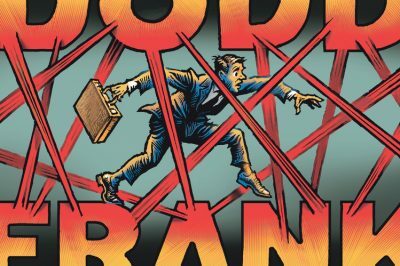 While claiming to protect taxpayers, Title II of Dodd-Frank gives the FDIC an enforcement arm, the Orderly Liquidation Authority (OLA) which is similar to its British counterpart the Prudent Regulation Authority (PRA). Both now have the authority to punish the personal depositors of failing banking institutions by arbitrarily making their savings deposits subordinate- actually tertiary- to bank claims for the replacement value their derivatives. Before Dodd-Frank savings deposits were legally senior and primary to these same claims in a routine bankruptcy. Oh, but bank depositors can rest easy in the knowledge that replacing their savings will not come out of their pockets via another bank Bail-Out. Thanks to Dodd-Frank, the first line of defence will allow Congress to instead replace personal savings with a government paid for $7 trillion bail-in to FDIC to “replace” these savings. “An efficient path for returning the sound operations of the G-SIFI to the private sector would be provided by exchanging or converting a sufficient amount of the unsecured debt from the original creditors of the failed company [meaning the depositor’s cash] into equity [or stock]. This type of conversion of deposits into equity already had another test-run during the bankruptcy reorganization of Bankia and four other Spanish banks in 2013. The conditions of a July 2012 Memorandum of Understanding resulted in over 1 million small depositors becoming stockholders in Bankia when they were sold without their permission- “preferences” (preferred stock) in exchange for their missing deposits. Following the conversion, the preferences were converted into common stock originally valued at EU 2.0 per share, then further devalued to EU 0.1 after the March restructuring of Bankia. Under Dodd-Frank the FDIC, using the auspices of Dept. of Homeland Security (DHS) can legally, without a warrant, enter the bank vault, have the manager secretly open any and/or all safe deposit boxes and inventory, or seize the contents. Further, if the manager is honest enough to inform the depositor of the illegal incursion he is subject to criminal charges and termination from bank employ. Independent reports reveal that all of America’s safe deposit boxes have already been invaded and inventoried for future confiscation. This already happened in Greece. Depositors who removed their jewellery or precious metals were met at the bank’s door by security, a metal detector and confiscation. The power of the now remaining G-SIFI banks and FDIC was further evident when, cash finally in hand, I headed to my bank, JP Morgan Chase, right next door to Wells Fargo. The manager confirmed that the cash withdrawal policy at Chase was in keeping with that at Wells; very little cash available on demand. I posed a slight untruth and inquired as to what I should do about my upcoming need for $50,000 in hard cash. No, her bank would not do that on demand, but arrangements could be made to have the cash transferred to her bank. That would only take “about two days.” Of course, I would need to fill out a few forms. With the American and UK public again on the hook-by law- for the anticipated loss of the banks a distressed depositor might think the plot to defraud them now complete. Au Contraire. Never mind, of course, that these poor banks are holding derivative exposure thirty-five times the total cash deposits of US savers…nor that their ill-gotten riches- such as the UBS, Wells Fargo, Bank of America, RBS multi-billion dollar frauds- were taken off-calendar in Federal court for approx. 15% of the total crime. The banks kept the rest. Well, depositors, your extreme caution is required. The wording of these new, bank inspired sets of legislation is silently waiting to be used by many nations to prioritize banks before their citizen’s. When the time comes, the race to the bank will be a short-lived event indeed. With this in mind, I stepped into the bright sunshine outside the walls of JP Morgan/Chase bank, all but $ 100.00 of my day’s take stuffed deep- and securely- in my pocket. It’s final outcome no one’s business but my own. However, for almost everyone else? Well… when YOUR bank fails, don’t walk-run! YOU do not want to be second in line.